So I just returned from a lovely, relaxing holiday in Cornwall. 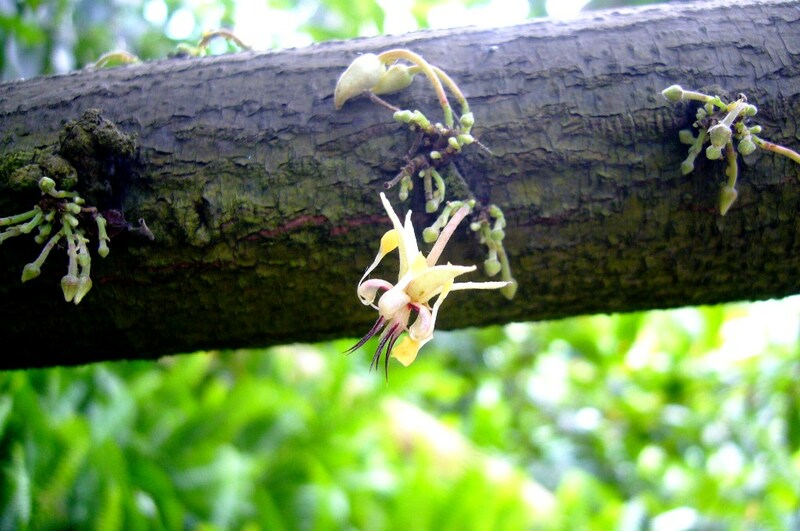 Needless to say, I’m always on the lookout for anything remotely chocolatey, especially when I’m elsewhere, to see what curiosities I can find. I found a number of wonderful chocolatey treasures. Let’s start with the best first. This was both unexpected and hugely exciting – at The Eden Project, they have a rainforest biome – a mini rainforest created in a huge greenhouse-type dome. 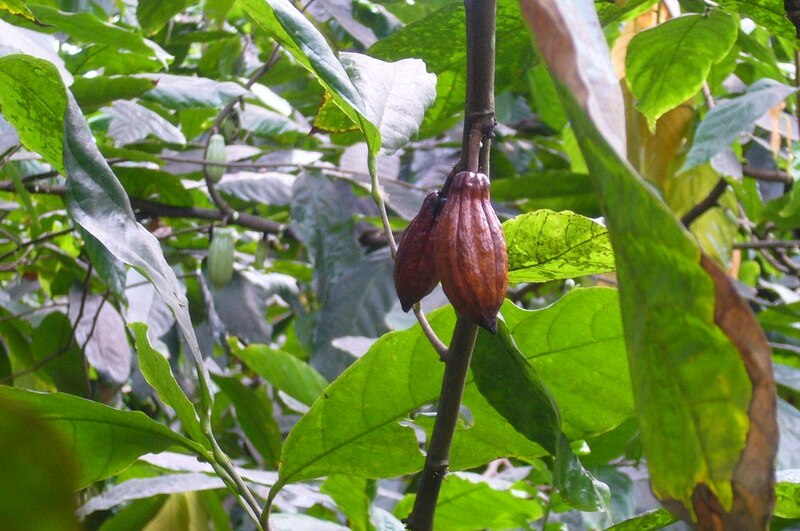 I had no idea they had cacao trees there (Theobroma cacao, food of the gods), so when we came across them I jumped up and down a little wildly and squealed “Eeeeeee!”. 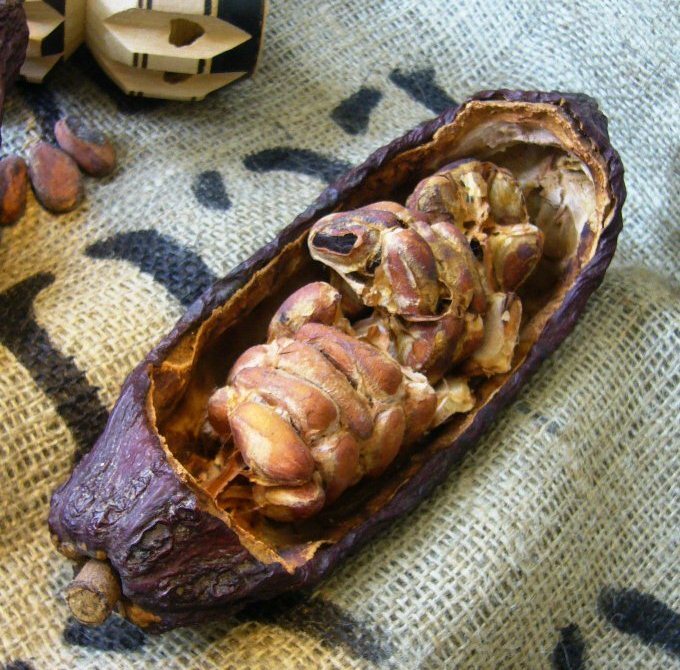 How I would have loved to be able to open one up and taste the sweet mucilage encasing the beans – but I suppose that will have to wait until I can visit a cacao plantation. 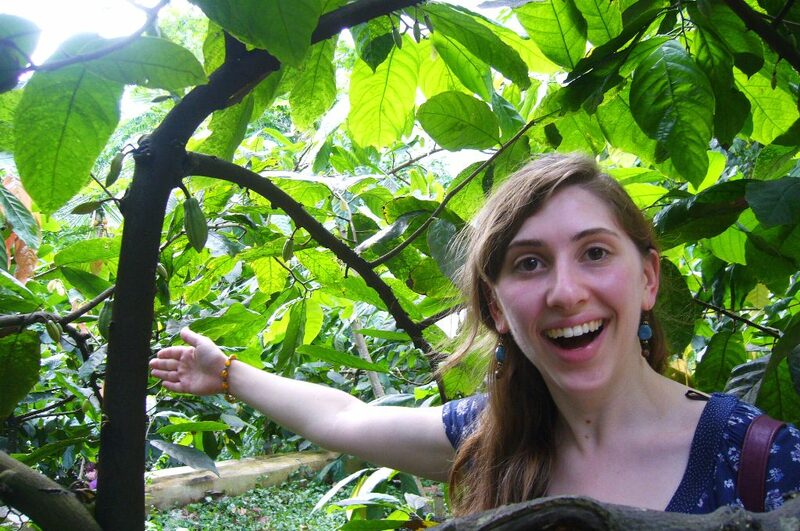 For now, the privilege of seeing and touching cacao trees will tide me over until such time. What an amazing surprise. You look ever so slightly excited! I think I would be too!